WASHINGTON (Bloomberg) -- Hyundai Motor Co. and affiliate Kia Motors Corp. were told to pay a Baltimore company $28.9 million after a federal jury said the South Korean carmakers infringed patents related to hybrid engines. The companies pledged to appeal. The jury on Thursday rejected arguments by Hyundai and Kia that the patents owned by Paice LLC were invalid, and instead found the infringement was intentional. That means the trial judge could increase the damage award to as much as three times the amount set by the jury. Paice, created by Russian emigrant and former antitank-warfare engineer Alex Severinsky, developed the technology. The patents cover ways to control electric motors and internal combustion engines so they have increased fuel efficiency and lower emissions without sacrificing performance. The trial over hybrid engines was complex, said Frances Keenan, chairwoman of Paice, and the company is “pleased to have Dr. Severinsky’s foundational technology recognized” in the verdict. The initial complaint targeted Hyundai’s Sonata Hybrid and the Kia Optima Hybrid, which use the same powertrain technology. 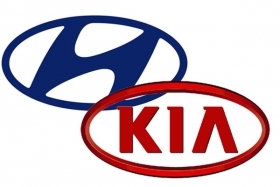 Hyundai and Kia, in separate statements, said the verdict wasn’t supported by the evidence. Paice has successfully sued -- and settled with -- Toyota Motor Corp. and has a pending suit against Ford Motor Co. The suit against Hyundai and Kia was first filed in 2012 by Paice and Baltimore’s Abell Foundation, a non-profit that’s invested in Paice.